Legislators are asking the government to impose a temporary ban on all genetically-altered products in Russia, while the Agriculture Ministry suggests the punishment for illegal GMO production be equated to that of growing cannabis. 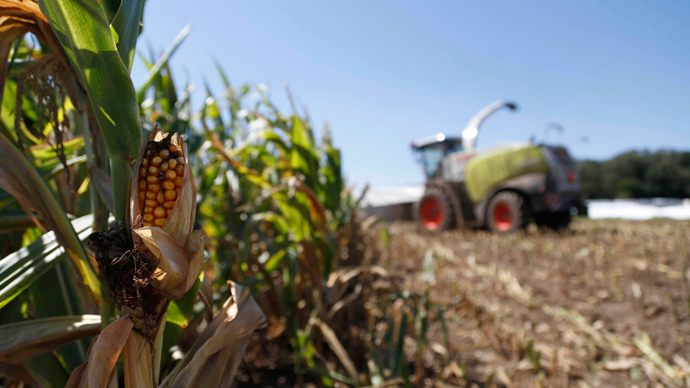 The State Duma’s Agriculture Committee has decided that Russia needs a ban on the registration and turnover of genetically modified organisms, local mass media reported on Wednesday. 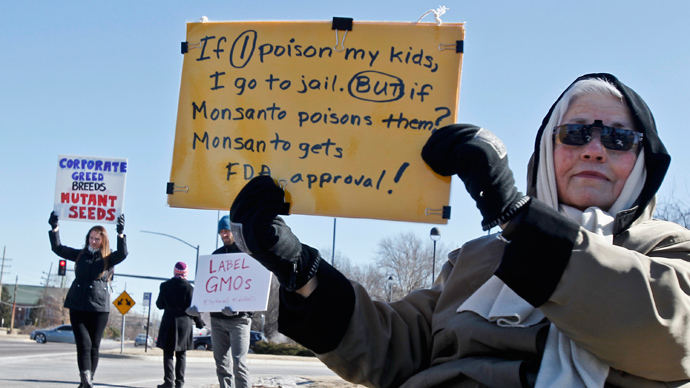 It is suggested that until specialists develop a working system of control over the GMO effects on humans and the natural environment, the government should impose a moratorium on breeding and growth of genetically modified plants, animals and microorganisms. Russia’s Agriculture Ministry is supporting the parliament’s position. Deputy Agriculture Minister Aleksandr Petrikov has told the MPs that the reasons behind the conservative stance on the issue are a lack of research into the various effects of GMO cultures, the absence of a working monitoring system and the fact that spreading of GMO crops could harm the biodiversity in whole regions. He also noted that hasty introduction of GMO cultures carries economic risks – Russia cannot compete with foreign producers when it comes to costs, but still can position itself as a producer of high-quality, GMO-free agricultural goods. Thus, any use of GMO cultures would harm the national export potential, Petrikov said. The ministry supports a complete ban on growing and using genetically altered organisms in the country, with the exception of those used in scientific research. Petrikov also told the Duma committee that his ministry suggests the introduction of tougher punishment for illegal growth and use of GMO cultures. He said that the sanctions for such activities should be made equivalent to the punishment for illegal cultivation of plants containing illegal drugs and psychoactive substances. The latter is currently an administrative offense punishable by fines between 1,500 and 4,000 rubles (US$42-$111) for individuals and from 100,000 to 300,000 rubles (about US$2,800-$8,400) for businesses. 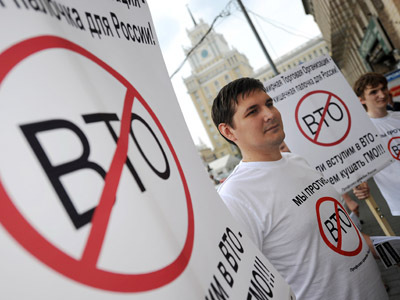 However, the deputy head of Russia’s state consumer rights watchdog Rospotrebnadzor, Gennady Ivanov, reminded MPs that since Russia joined the WTO in 2012, trade restrictions can be imposed only after the hazardous effects of the banned goods are scientifically proven. The official also noted that the share of GMO in Russian food industry had declined from 12 percent to just 0.01 percent over the past ten years and currently there are just 57 registered food products containing GMO in the country. The Duma committee decided at the session that the Agriculture Ministry must be made responsible for evaluation of GMO products and together with the Academy of Sciences should conduct a general research and analyze both the effect of genetically altered organists on humans and nature and the experience of foreign nations in handling this issue. In early February this year MPs of the parliamentary majority party United Russia together with the Russian Sovereignty parliamentary group suggested to amend the existing law On Safety and Quality of Alimentary Products with a norm set for the maximum allowed content of transgenic and genetically modified components. The sponsors of the bill said they wanted to make this norm zero for all foodstuffs produced in Russia. 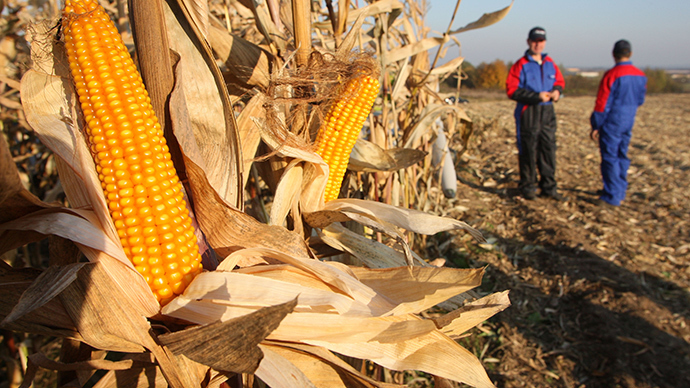 Currently there are no limitations on the turnover or production of GMO-containing foodstuffs in Russia. 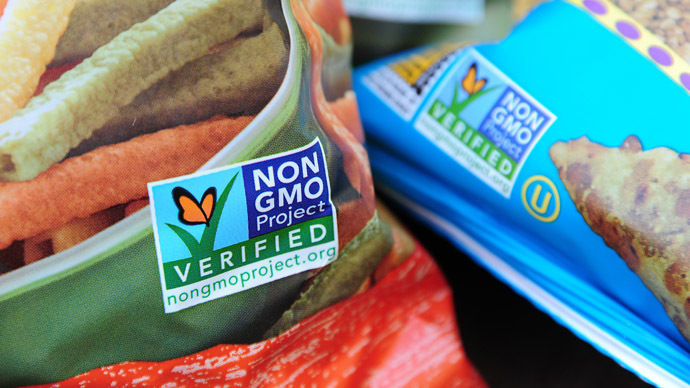 However, when the percentage of GMO exceeds 0.9 percent the producer must label such goods and warn consumers. Last autumn the government passed a resolution allowing the listing of genetically modified plants in the Unified State Register, but this resolution will come into force only in July this year. Also in early February, Prime Minister Dmitry Medvedev told a government session that Russia will create its own research base for genetically modified organisms that would provide the authorities with expert information and allow for further legislative movements and executive decisions.